Directory to Store Stills: Choose the directory to store your still grabs on your system by clicking the “Choose…” button. 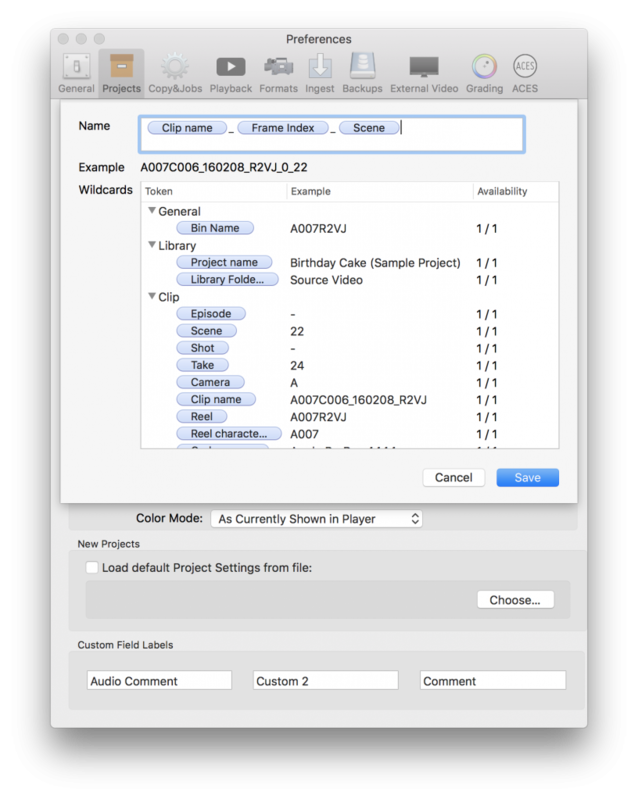 Naming Scheme: With the naming scheme you can define the naming for the exported still images. Both: Exports two images with both of the above settings – one as shown in player and the other with the original color. 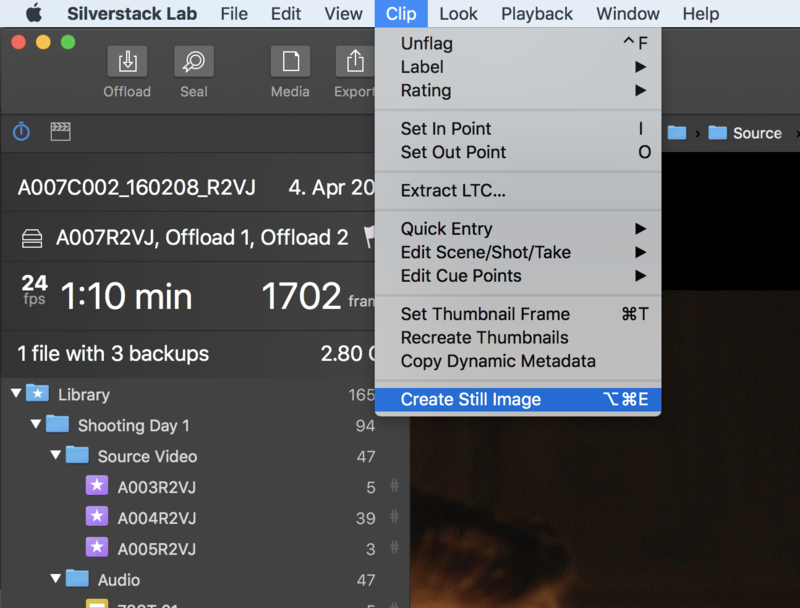 Silverstack can export multiple still images at once when either selecting multiple clips in the table or collection view or in the timeline of the player. The still frame position that is used for the export depends on the context in the software. Player and Timeline: Current frame of each selected clip (indicated by the timeline ruler). 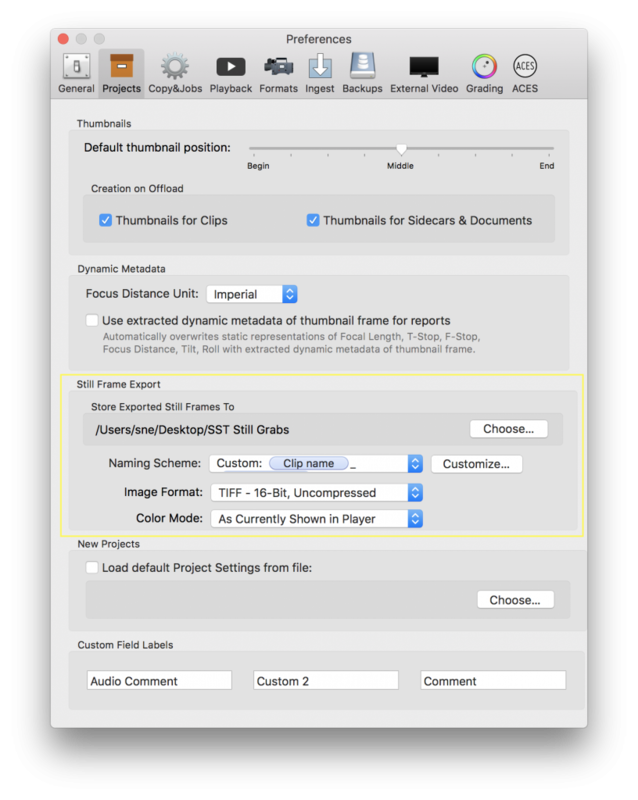 You can set the position for the thumbnail image creation in the preferences and can recreate still images based on the same position. Learn more about this in the article Choosing Custom Thumbnail Images.